Light means a conscious understanding that situations and appearances can be made better by the direction action of your consciousness. In this context, that makes light a verb. I have lived on the far South Side of Chicago in one of the city’s most economically depressed and violent areas since 1990. Between the depressing regular shootings nearby, two home burglaries, and the aggressive police presence in our area, I began to desperately want a community where I would feel safer. Where I didn’t need security cameras, an alarm system, and where there were no nightly shootings. As an empty-nester, I can now afford to live in a ‘better’ community. Although I tried repeatedly, to sell or rent my home, it seemed impossible. Then I had a revelation that the reason for my lack of success could be that I was attempting to flee a problem I needed to face. Author James Baldwin once said, “Everything that is faced cannot be changed, but everything must be faced.” Was I simply going to run away from the chaos that surrounded me or was I going to become more involved in my community? That was my dilemma. While I pondered this, one well-kept home on our street was sold to a family that didn’t pay the mortgage and soon lost the home. Another home on our block burned down and was demolished by the City. Our street, which was once attractive and well maintained, now with one home torn down and another vandalized and boarded up, became an eyesore and further incited me to leave. 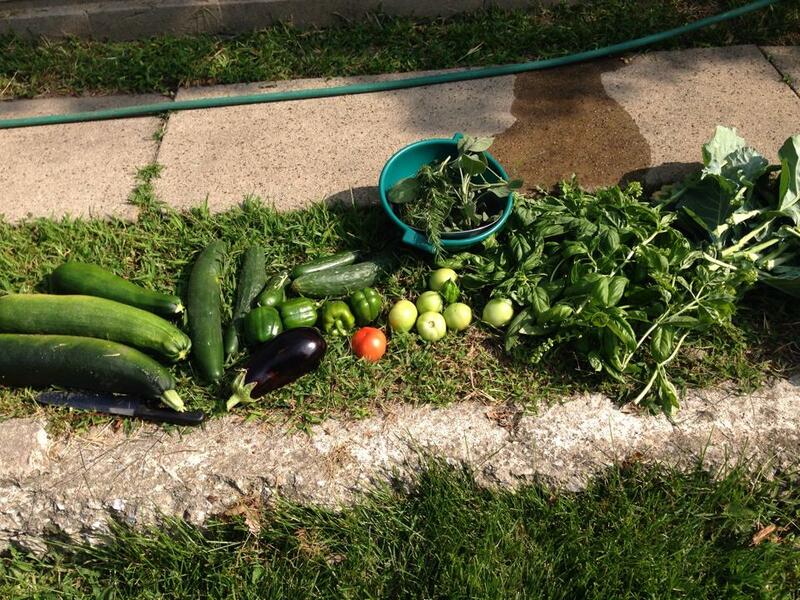 That is, until one of my neighbors, led us in the creation of a community garden. 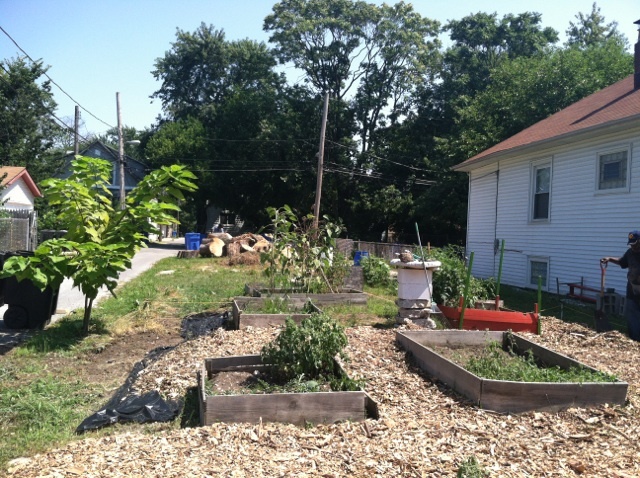 This garden is a place where eight of the homes on our street plant, nurture and grow flowers and vegetables. It has become a focal point and a place where we work together! Coincidentally, the boarded up home on our street was purchased by the sister of another neighbor. 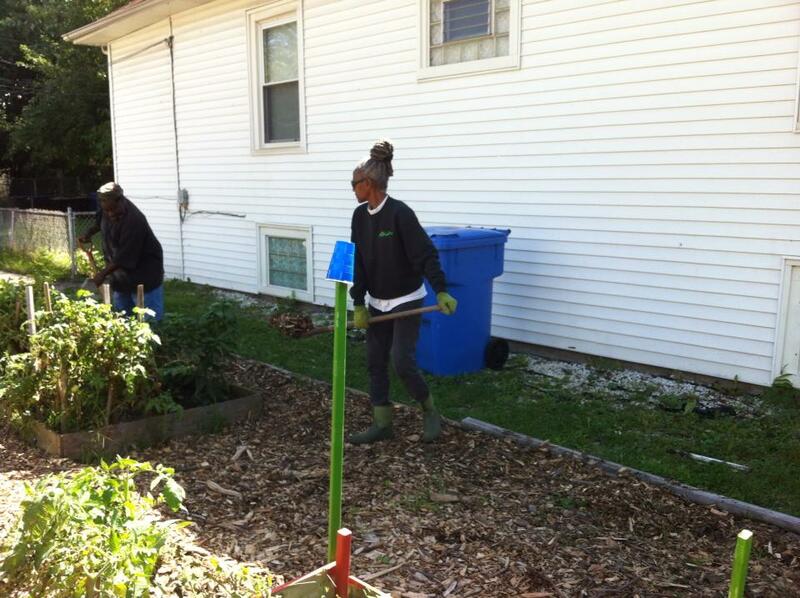 She has happily moved into her first home and is excitedly rehabilitating the property! I myself have made modest upgrades to my home and stayed. I have decided to come to grips with the community where I live and even tried, albeit unsuccessfully, to revive our block club. Working together has been difficult but somehow we have managed to maintain a decent looking block. I can’t say that I will never move away, but I can say that if I move it will be for the right reasons. It does not take cataclysmic effort, to shine our spiritual lights in our communities. By digging in (no pun intended) and doing the best we can, several small sparks of light can sometimes join to become a flame. I believe light is a verb! I propose a SEVEN DAY SPIRITUAL CHALLENGE to all who read this essay. Share this with your children to demonstrate that they too have the power to magnify the light in the world by the goodness that they shine upon others. • For seven days perform an act that betters someone’s life. • Daily reflect upon how your actions have magnified the light in the world. Susan Peters, aka, Ahnydah (pronounced ah-NIE-dah) Rahm, brings a treasure trove of experience gained as an expatriate living in West Africa, to her memoir, Sweet Liberia, Lessons from the Coal Pot. 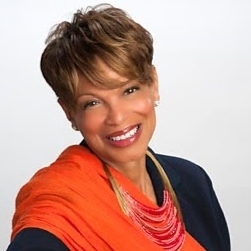 A native of Chicago’s south side, she has worked in women’s development, communication, sales, marketing, event management, fundraising and currently manages community relations at a prestigious academic medical center. A lifelong author of poetry, essays, short stories, and plays, Susan is poised for a May 2014 release of, Broken Dolls, a work of contemporary fiction and mystery.